Located in north central Idaho, the Nez Perce Reservation lies between the Selway-Bitterroot Mountain, across the camas and Weippe prairie to the breaks of the Snake River. During the past century many non-native plants have invaded, disturbing native plant communities which are culturally important to Nez Perce people, economically important to the region and biologically important to the Columbia River Basin ecosystem. 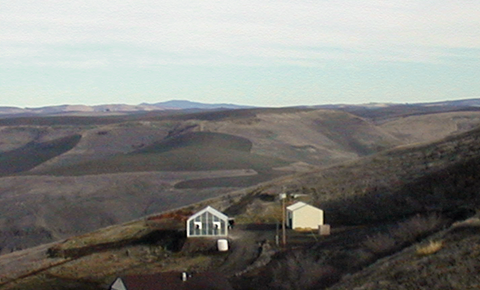 Approached by the Idaho State Department of Agriculture in 1994, the Nez Perce Tribal Executive Committee agreed to examine the feasibility of developing a biological control of weeds coordination center. Startup funds were provided by the USDA-Rural Business Enterprise Grant program and USDC-Economic Development Administration to the Tribe in 1998; the program was initiated in 1999. 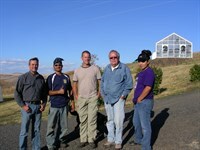 The NPBC is constantly seeking partnerships to increase its ability to meet the needs of land. 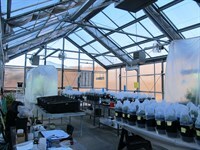 A greenhouse and garden plots of target weeds allow NPBC staff to raise approved biological control organisms on site. Mass rearing of newly available approved biological control organisms will allow land owners and managers increased access to natures weed eaters. owners and managers throughout the region. Through partnerships, the NPBC has access to collections of all approved biological control of weeds organisms and continually builds the rearing program to include newly approved organisms. "I would like to thank Paul Brusven and the rest of the staff at the Nez Perce Bio-Control Center, for taking the time to educate me on the important issues of weed control and how biological control agents play an important part. My time with all of you was very valuable and assisted me in completing some of my research while a student at the Northwest Indian College. It was an awesome experience, one that I will always remember. I hope sometimes in the near future I will have another opportunity to work with all of you again. Upon the completion of my research, I will then take and share my information with my Tribal community. Thanks again. "